There are a wide range of courses available for the students in the Science stream. The students may go for a plain B.Sc or he might choose B.Sc. (honors). The students who are interested in the computer and information technology field can go for B.Sc. (Computer Science/IT). Students who have an academic background of science at 10+2 level, they can pursue B.Sc programme in various branches. Students, those opt for any of the given fields will have the opportunity to find good jobs in both public and private sectors . The admission to the various B.Sc. courses are done on the basis of qualifying class 12th examinations in (PCM/B ) stream. Candidates must have passed/appearing in the class 12th can apply for the B.Sc programmes as per their choice and preference. The admission to the B.Sc courses is based on Class 12th percentage. Some universities also conduct their entrance exam for admission. Some professional B.Sc. courses like fashion technology, interior design, multimedia, animation allow the students of other stream (other than science) to take admission. B.Sc graduates have a wide variety of options available in terms of topics, subjects, & field . They have an option to pursue a post graduation degree in their respective field. Students can also join non-science master degree courses such as animation, management, journalism, computer technology, etc after the completion of B.Sc degree. Just like an academic courses, students who have a B.Sc degree also have an excellent employment opportunities. Jobs for B.Sc graduates are not just restricted in the field of science but also they can explore others areas like management, engineering, law etc. After the completion of the B.Sc course, students can work in various areas which include both science & non-science fields. There are various opportunities available for the students after B.Sc. the students can go in a research field, in some colleges the students are recruited directly by the big organizations at a very good salary package, some professional B.Sc. courses like animation and IT open the door of animation and IT industry for the graduates, the other professional B.Sc. field also have vast career opportunities. The salary of an individual in this field depends in which field he is working; some professional B.Sc. courses like IT and Computer Science have very good scope and pays handsome salary to the deserving students. The starting salary in this field may range from Rs. 15,000 to Rs. 30,000. After gaining a good experience in a respective field, student may earn Rs. 60,000 to 80, 000 per month. Mathematics for Degree Students for B.Sc. 1st Year by Mittal P.K. Physics for Degree Students B.Sc. First Year by Arora C.L. Chemistry for Degree Students by Madan R.L. If you have any other queries about Bachelor of Science (B.Sc. ), you can ask your query in the comment box. i completed bsc in zoology n applied fishery wht further i should do plzz suggst me…. my cut off for agri is177.75.AM I eligible to join in tnau or GRI and if not am I eligible for any other professional courses and which is the best in BSC courses. Sir, can we do B.Ed after B.tech.? I mean can one go to govt. teaching jobs and administrative services after B.Sc.? I m doing my 11th in pcmb .wt shall i opt in bsc???? ?plz guide me. Sir I m now in tybsc botany zoology.What I can do after completing my tybsc in both botany zoology. Sir i am continouing my bsc course in PCM with physics honours.Everybody ask why i should not go in medical line.But i know medical is a tough challenge for me so i join bsc but now i afraid that i will not get a good job by this course.So i want from you some valuable tips by which i can get a good job which satisfies my family members;relatives and friends plz…plz…guide me. you can start your preparation by focusing on the upcoming govt exams like IBPS, CDS, SSC etc. You can go to merchant navy after completing B.Sc or you can also join merchant navy after passing class 12th. sir I want to appear for bsc but my mathematics is weak…so please can u help me and suggest me for what subject should I apply in bsc. Sir i want to take english honours but i have passed class 12 science with PCMB. Sir i m 12(runing) n my mathematics is quit good . And i will like to join B.Sc after finishing my +2 . So Sir which field I have to select. sir I hav jst passed 12 in sci and got75% now m upto bsc in bio with cbz bt evry one is saying der is not mch scope in this and i shld go fr pcm bt i dont like maths at all and i luv bio so wht shld i do? shlx i go fr pcm or cbz? Hello, BSc in IT or Nursing is a good career option in Dubai. sir,I have completed my 12 science.i want to become an engineer. please suggest me which branch is scope able for girls. Sir I have completed my 12 science.i want to become a lecturer. Please suggest me the subject in which there is good scope and job opportunity. you can start your preparation for UPSC examination. I have completed ma B.Sc I fashion. Which courses should I take as my pg?? I thought of doibg MBA with HRM.. How it will be?? I have passed 12 science.I want to become an space researcher. Which course should I have to chose for it? What i cn doo after b.sc (IT) hons. you can pursue Nursing courses and may also go for a teaching career. Sir i am doing Bsc from subject ZBC and I wants to be scientist. What can I do for that? n which field will be the best for me after Bsc(ZBC) and why?? I just completed my plus two science course. I hope that I’ll get a mark above 85%. I like to work as a scientist. So please guide me what will I need to do to full fill my ambition. Which course I need to select…?? Unfortunately I can’t attend any entrance exams. Also I am not willing to go to repeat. Please give a suggestion/ solution. you can pursue B.Sc and M.Sc. and then apply for scientific jobs in various government organizations like ISRO, DRDO etc. Sir I have done bsc with subjects computer science, statistics, economics. Now what can I do next in studies?????? sir, please suggest me some biology field…..and tell me the scope of bsc in botany carrier…. yes appear for the various entrance exams for jobs in state and central govt, do computer related courses that will help you to get a good job. B.Sc forensic science has good scope, and also there are job opportunities in this field from both government and private sector. I m also facing like tht of ur problm bcz i jst complete my bsc in same sub tell m wt should i do????? you can pursue para medical courses to land a good job. Some of these courses include Nursing, medical lab technician, radiology, ECG technician etc. sir i hav dne my bsc this year (2015). i scored distinction every year.i hav dne bsc in chemistry and zoology. what shud i do now for a good salery. what are the courses and how to get admission in that..? you can pursue medical lab technician courses, radiology courses, ECG technician courses to get a good job. Wat cn i do aftr dng b.sc (fashion technology) ? what is the next step for doing bsc in computer after 12th science(pcm)???????? I got only 33 marks in jee main and I have totally lost my hope of getting any admission for engg so please guide me for my future in bsc and I m good in mathematics!!! Hey dont worry about your loss of yourdream education you are also do better careear in bsc . And your math is also fit so dont worry and you can do bsc very hardly study with fresh mind. Then your carreear was also settled. What is b.sci(computer science & B.sci IT)? I had completed BSc in “physics”.which subject should I choose in ” MSC” to do “Aircraft designing” ? Sir..i hav done bsc with pcm. Now i can go for msc pharmaceutical chemistry.Is thhere any scope after doing this..
yes their is good scope in this field..
Hello, i have completed my Bsc with biotechnology in 2005, now i want to do a professional 1 year course, that can land me a job, please advise. I am also having trouble …. I have also taken this stream…. Please help me also to choose something beter after this…. i am a PCM student …..i dont like bio ….neither can i do engineering or architechring bcz of some personal reasons….what are the courses which i can go for ? What can i do aftr simple BSc bio…? You can apply for the Engineering courses. mca is possible for biology student? if they have no math in 12 & graduation both..
Sir, pls tell me after B.Sc. wht should i do…M doing B.Sc (PCM) it was my first year..
And i don’t want to go in M.Sc. I want to do something diffrent which provide me job.. But further i want to go in civil services..Pls tell me sir what should i have to do which help in my further studies..
Take a chance for jexpo exam. 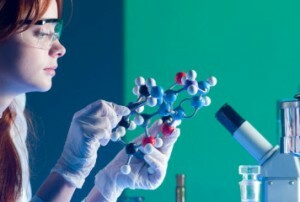 I am a graduate student in chemistry honours then why should I do??? ?also I am gud in mathematics…. Do PG in related field. I drop my education after 12th . I complete 12th in 2008 but some problems I couldn’t complete my graduation now I want complete my graduation in science stream . Guide me which subject is good for me my mathematical is weak. you can pursue B.sc (IT) or B.sc computer science. I say that think you learn a computer scince becauseyour mathamatics weak. I am a D.pharmacy student..It is a 2 years 3 mnths course..but in odisha..it take 4 yrs..to complete..i couldn’t knw about that..prblm..& join..this..what can i do after that..
Dear sir .i am pursuing bsc biology group. what is the scop after bsc .. Which technical side are you referring to? Mba, MSc, also you can appear for various competitive examinations. Apk liey koi option nahi hai.. Q Ki apne koi subject nahi bataya sir. sir what the best option after doing bsc in biotechnology field?? i have no comment for u..
sir i am +2paas so what i can now in B.Sc field which subject i choose. my mathematics is weak. Choose B.Sc ZBC group. But think what after B.Sc first. Many don’t think about that. Sir, this year my B.Sc. is third year.with bio group so i want to go medical science. and my chemistry is weak so please suggest me what is opportunity for me.